Red-winged Blackbirds can be seen nearly year-round in many areas and are a fan favorite because of their unique look and predictable behavior. Bright red patches on the shoulders of the male Red-winged Blackbird make them easy to spot, and when they fly, the colors are unmistakable. They may migrate for a few months, but Red-winged Blackbirds return in spring to make their homes in yards, marshes and alongside roads across America. The pair only has 2-4 eggs in a nest, and both the male and female Red-winged Blackbirds will defend the nests from predators. Red-winged Blackbirds eat seeds, insects and even suet from your bird feeders. Red-winged Blackbirds, at least the male Red-winged Blackbirds, are easy to spot. Their unique bright red patches on the wings are so distinctive that it's almost impossible to mistake them for a different bird. The female Red-winged Blackbirds, on the other hand, are brown in color with deep streaks of white. They are sometimes mistaken for large sparrows, but their behavior is very different. Red-winged Blackbirds prefer to live and nest in wetlands or other marsh-like areas, but if those locations are unavailable they will breed in other open areas near water. 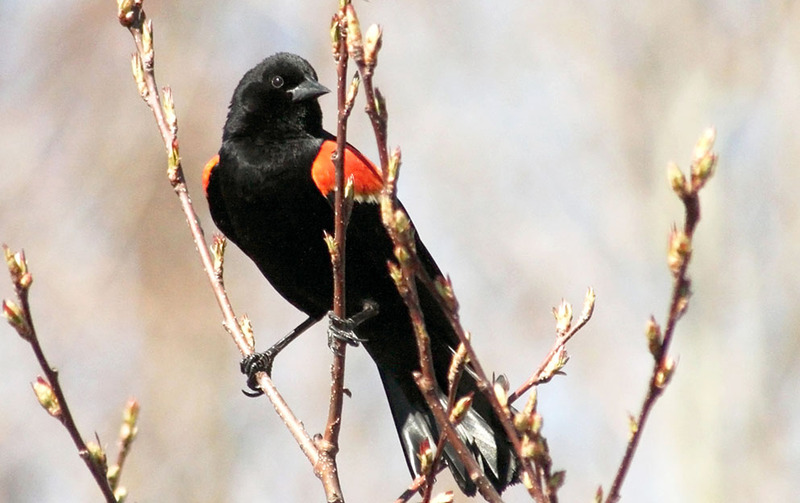 If you live in an area with cattails, it’s likely you will see Red-winged Blackbirds nearby. Male Red-winged Blackbirds will aggressively defend their territory, which can be as large as half an acre, during breeding season (which lasts throughout Summer). Male birds have been seen chasing dogs and other animals off, in addition to other birds, but welcome female Red-winged Blackbirds. Because of their strong preference for nesting in wet areas, a male Red-winged Blackbird may have a dozen or more females nesting within his territory. 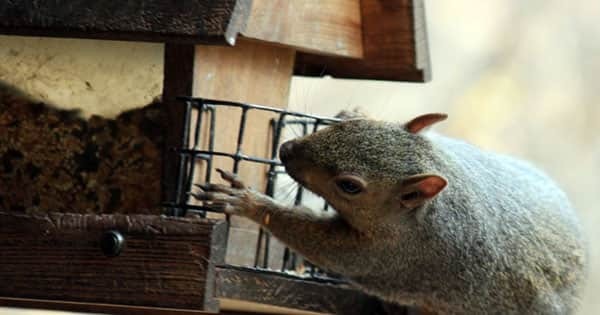 He spends much of his day watching over his territory and singing to the females nearby. The female Red-winged Blackbirds will nest near each other, in part due to the lack of available nesting sites in many areas and the fact that they use wet vegetation to make their nests. In addition to wet vegetation, female Red-winged Blackbirds will make their nests from nearby grasses (they favor reed grasses). Unlike most birds, their cup-shaped nests are low and near to the ground. It’s rare to find a Red-winged Blackbird nest that is higher up than fifteen feet, and the nests are usually much closer to the ground that that. The female lays only three to four eggs, and in less than four weeks the eggs will hatch and leave the nest. It will take up to two weeks for the female Red-winged Blackbirds to incubate the eggs, and then less than two weeks later the fledglings will leave the nest. 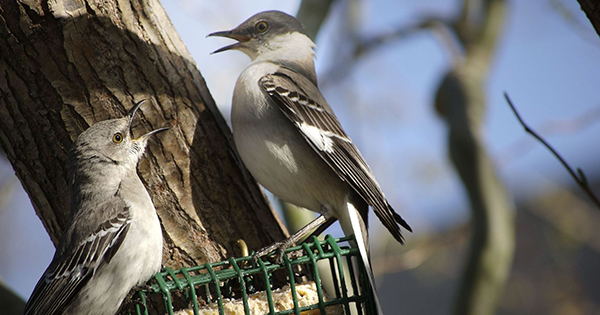 The young birds may join non-breeding flocks as the female starts a second brood. Except during mating season, Red-winged Blackbirds are most often found in large flocks. During the day they tend to split into smaller groups and go in search of food, but usually regroup back into the larger flock before nightfall. Red-winged Blackbirds eat seeds, insects and even suet from your bird feeders. If you live near water and want to attract Red-winged Blackbirds, offer seeds and suet in early spring and late fall. Seeing Red-winged Blackbirds eating at your bird feeders is a real treat for birdwatchers. 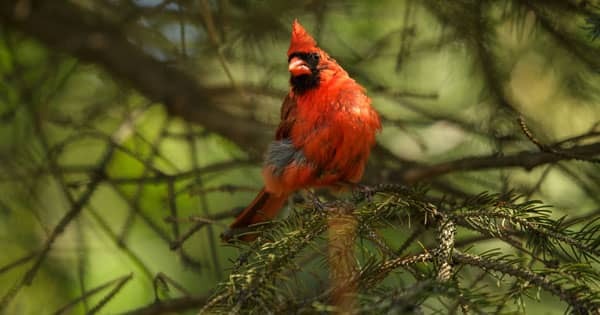 The bright splash of red color on the male birds' shoulders is a great addition to a backyard bird feeder that is usually visited by sparrows or other small songbirds. Red-winged Blackbirds are less mobile during breeding season, but you may still see single birds at your feeders. Sometimes these large flocks will rest in suburban neighborhoods, and the sight of thousands of Red-winged Blackbirds (along with other blackbirds or cowbirds) landing in a suburban park or on a power line is something to see!